As always ParkMeApp team try their best to solve the parking hassle of the community in many ways. As always ParkMeApp team try their best to solve the parking hassle of the community in many ways. As result of their commitment ParkMeApp has introduced new parking type called TPS which stands for Temporary Parking Spot. 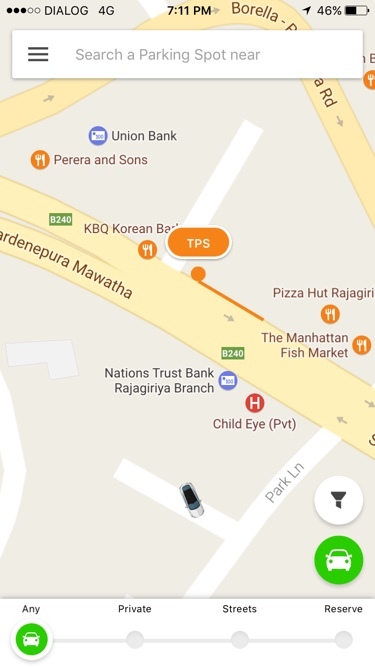 TPS (Temporary Parking Spot) is defined as left corner or right corner of the road (After White Stripe). This is not a legally approved parking space by any authorized party. But vehicle owners can use this space as a temporary parking spot to park their vehicle at their own risk. As per the current law in Sri Lanka, police or any other authorized party an take any action to remove the vehicle from the space. 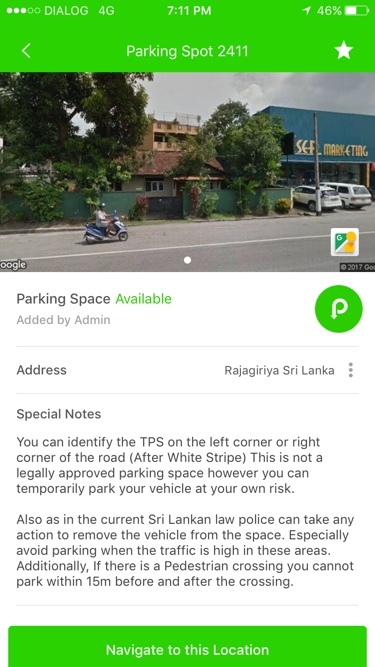 Initially ParkMeApp has launched with Street Parking which is legally allocated spaces for parking in streets and Private Parking which is a private land allocated for parking. Based on the researches and surveys done by ParkMeApp team among the society, we realized currently available Street Parking and Private Parking is not enough to cater for the vehicles available specially in urban areas. 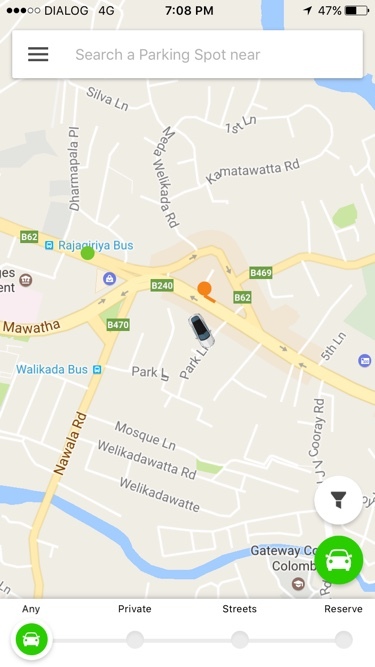 ParkMeApp introduced TPS locations to minimize this problem. Open the map appear in the Home Page. 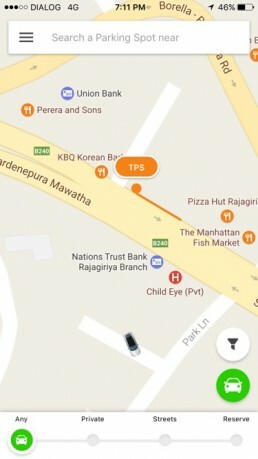 Street and Private Parking spotted in Green color and TPS appear in corner of the road in orange color. Zoom the map to view it more clear. Select a TPS location and find more details about it. Especially avoid parking when the traffic is high in these areas. Additionally, If there is a Pedestrian crossing you can’t park within 15m before and after the crossing.